Navaratri is upon us once again and this celebration will be very special – it will be the inauguration of the first Navaratri celebrated at the Devi Mandir in Yuba City! 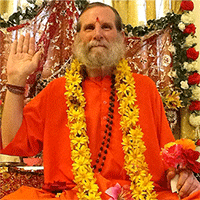 The Durga Sadhan Mandir ashram has completed the move to Yuba City! Happy Mother’s Day! I would like to present to everybody on Mother’s Day 2017, this offering of a list of qualities of an ideal human being. Join Swamiji’s Sadhana: Plains of India and Himalayan Sadhana. 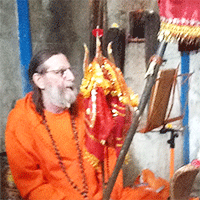 Join Shree Maa’s Program on Webcam:Lalita Chandika Temple. Jai Maa! While at the farmhouse in Shahapur, Shree Maa had suggested that Swamiji conduct a wedding ceremony for Kishor and Rashmi’s son Dhruv and his fiancé Ustavi. Shree Maa and Swamiji have already arrived in India, and have already reached Uttarkashi, visited Gangotri, and have returned to the base camp in Uttarkashi to begin sadhana. Every year during Ashwin Navaratri, Shree Maa selects a little girl to be the Kumari in a puja that Swamiji performs on the eighth evening of Navaratri. The Himalayas are mentioned in numerous scriptures highlighting the sacredness of this mountain range. Even two of the scriptures that we chant frequently, the Devi Gita and the Chandi Path, make reference to them. There is no reason this should not feel remarkably familiar. We have been doing this same sadhana, this same rhythm of life, even the same quality of life, for literally thousands of years. As we recite the spectrum of scriptures, we become part of all of the traditions contained therein and we move closer to the universal attitude that the Rishis have reflected. Here in the Himalayas, engaged in sadhana for most of the day, we have only one thing to overcome, and that is our own selves. Truly, there is nothing else more worthwhile than to be victorious. Namaste Dear Family, so many of you have sent to me emails on Father’s Day expressing love and gratitude. THANK YOU – for the opportunity to be in India, for joining us, for your support, and for your Pure Love!